Pure, natural skincare from the French Alps, evian® Facial Spray is very beneficial for any skin type at any age. 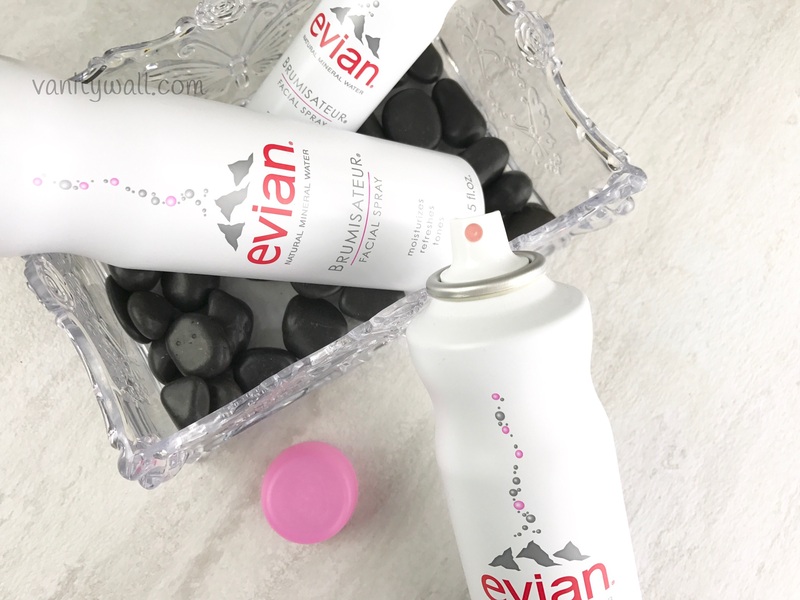 To ensure that every canister of evian® Facial Spray contains the same extreme purity and neutral 7.2 pH that has earned decades of international respect, evian® water is tested 300 times each day. 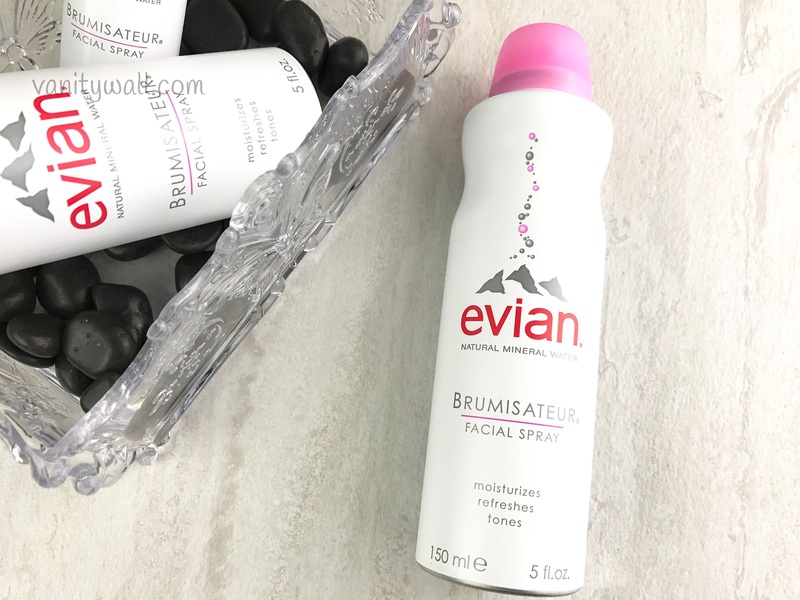 evian® Facial Spray’s unique, balanced, mineral content and exquisitely fine micro-droplet mist allow skin to better absorb its hydration and blend and finish makeup into a smooth, natural look. 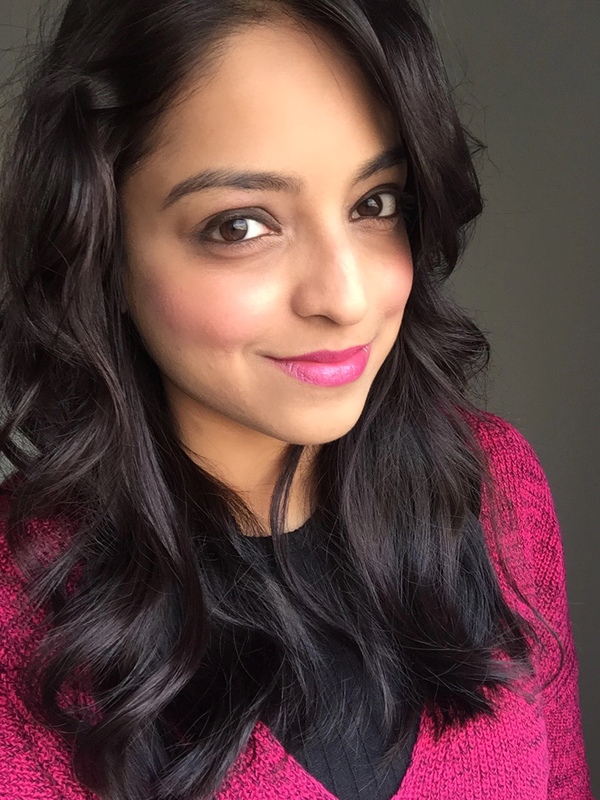 This favorite of skincare and makeup professionals is affordable luxury at its best. Evian Facial Spray comes in a simple leak proof white bottle with a nozzle spray dispenser. The nozzle dispenses fine even mist which settles smoothly into the skin. I am always nitpicky about any facial spray or toner that comes in bottle with a nozzle dispenser. You don’t want to look like you dunked your face in water. 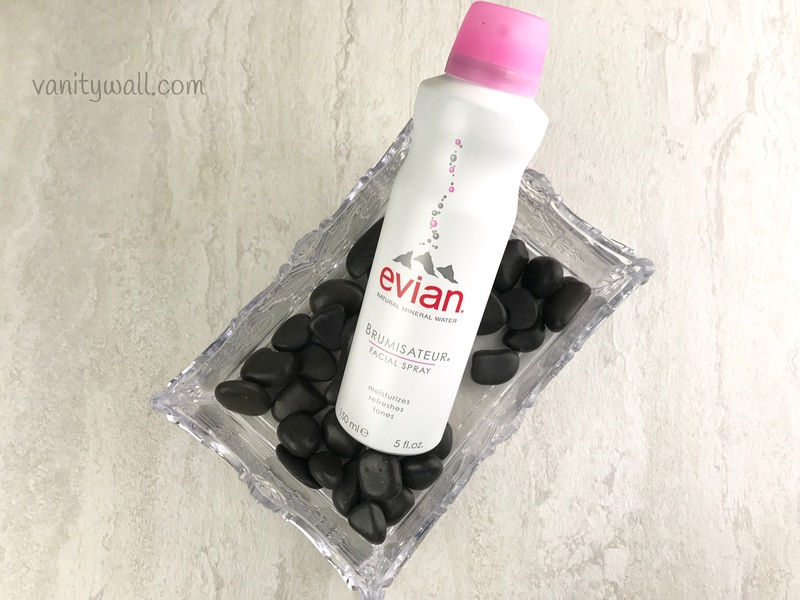 Evian facial spray is formulated with a neutral 7.2 pH making it compatible for all skin types. It is hypo-allergenic and true to the claim it didn’t cause any skin reactions for me. I believe facial sprays should be a necessary and important part of your skincare routine. Just like our body requires water, it is always great to keep skin hydrated. Concocting a facial spray out of rose water is the cheapest. Evian however has brought us spring water right from the French Alps. 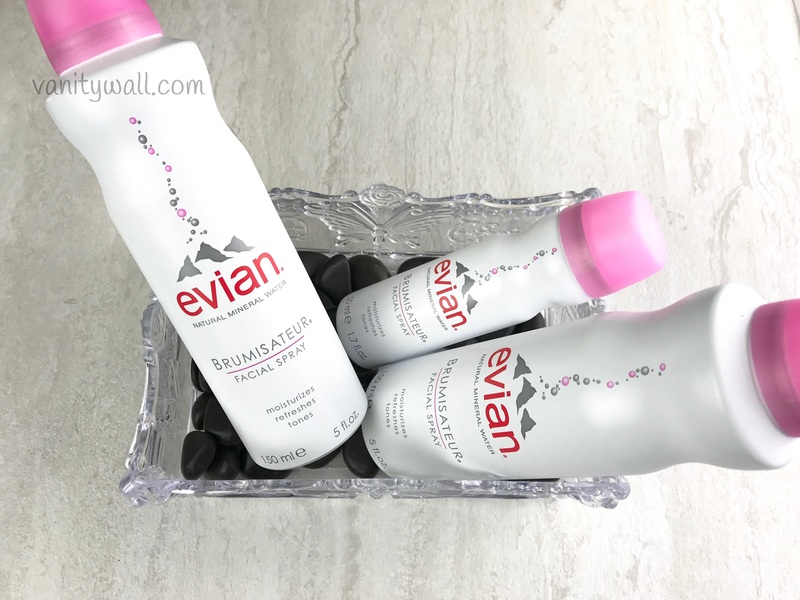 Using Evian facial spray is nothing less than a spa experience and one that can happen on-the-go. I love that it is fragrance free. I constantly use it round the day – before serums to have them absorb better, keep my makeup fresh and natural throughout the day, post gym to tackle perspiration and in general whenever I feel like my skin needs a boost of hydration. However my favorite way to use Evian facial spray is to prep my skin before applying clay masks. I cannot say whether it makes the clay mask to perform better but I can totally vouch for the fact that I feel my skin looks much more hydrated and softer than when I don’t use it. There is no stretchy feel to the skin at all. Another bonus point is that it makes taking off the mask a breeze. You could definitely try this technique with other types of masks too. Overall Evian Facial Spray is amazing and definitely a must have. It is very easy on the pocket and comes in 3 different sizes to cater to your preference. Highly recommended for all skin types. Your skin would love the extra boost of hydration hot weather or not!